Jim Pike, yes that is his name, is disillusioned after two tours in Afghanistan. He has watched people he loves and cares for die and blames himself for not being able to stop it. He packs it in and takes a job that is safe, or so he thinks. He works as a bellboy at the Botany Bay Hotel in Houston and a Gulfcon is being held. Trekkies from all over will descend on the hotel in the next few days but fellow hotel workers are acting strange and start to disappear one by one. What starts off with a seemingly drunken convention goer starts a chain of events that will bring down the whole of humanity, as we know it. Jim becomes the reluctant leader of a pack of zombie survivors who try to get away from the hotel in one piece. This book is a mash up of zombies, Trekkies, Apocalypse Now and Dawn of the Dead. The satire drips in globs and the irony is well written. I loved the use of not only Star Trek dialog but also the use of Star Wars dialog as well. The SW fans didn’t come out well in this book I have to say but the whole thing is not only funny but also well written. It is a spoof and parodies many sci –fi movies but it’s one that works. 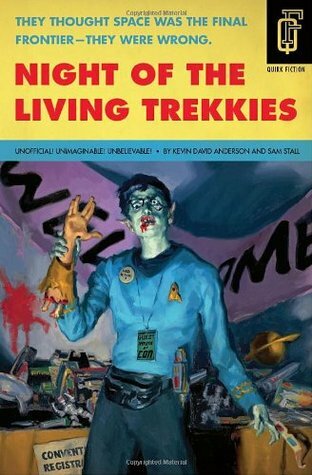 There are funny grotesque bits, like zombies chowing down on “Spock’s” brain. It is a survival story with humor and grimness alike. This is a fun read if you are a fan of ST and sci-fi. I am a huge sci-fi geek to this book appealed to me. It’s a short read but I loved how it all worked out and it gave a small insight to convention life and die-hard fans. Some parts did drag out a bit longer than it should have, to me anyway. Sit back and enjoy the ride, oh and what ever you do, don’t wear a red shirt, we all know how it ends for those poor guys. 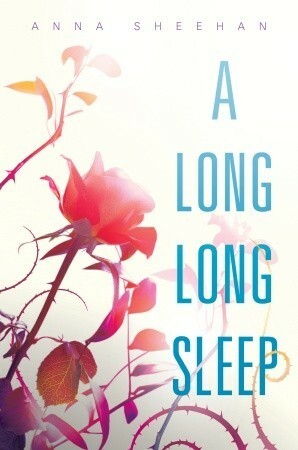 The premise of this book just really appealed to me as soon as I heard about it – a dystopian and sci-fi retelling of Sleeping Beauty. It just sounded like it could be amazing if it was well done and luckily this was. I was concerned because there was a lot that comes with a retelling of a classic like this. Rosalinda Fitzroy has been asleep in stasis for 62 years when she’s abruptly awoken to a whole new world, confused as to her surroundings and where her family and friends are exactly. She finds herself thrust into school, trying to explain why she had been put into stasis repeatedly in her short 16 year life and attempting to make friends. For more complications she find she is heir to a huge empire that she can barely comprehend. She tries to make friends and fails except for with Bren, the boy that rescues her from her stasis tube. He tries to bring her into his group of friend but Rose doesn’t adapt to that either. Rose finds a link of some sorts to Otto, a robot – kind of – in her grade that she begins a semi friendship with. All of this is new to her and she can’t figure out any feelings with anyone. I really enjoyed this book for both the sci-fi aspects and the YA aspects to it. The sci-fi wasn’t too heavy handed or complicated. It seemed very straight forward and done well. So if the sci-fi part of this book description freaks you out you can ignore that part. The YA aspects with the friendship between Rose and Otto was kind of beautiful to me. I loved their hesitating friendship and how it flourished. It seemed very true to life – however much it could be with a semi robot in the mix. I thought this was a very well written and well done retelling of a classic fairy tale. I’m looking forward to reading more by this author.